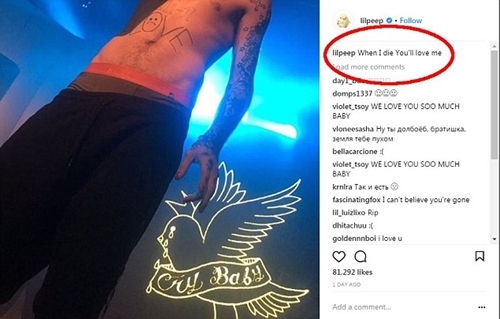 Fast-rising American rapper, Lil Peep, has died of drug overdose hours after posting eerie final message as former lover Bella Thorne leads heartfelt tributes. 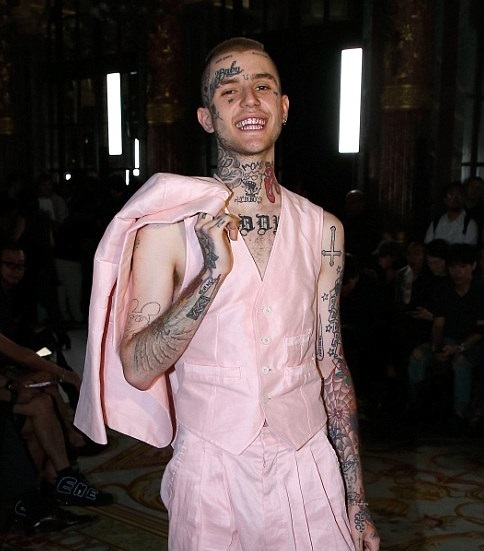 Lil Peep, real name Gustav Åhr, a promising 21-year-old rapper, died from a reported drug overdose on Wednesday evening, Dailymail reports. 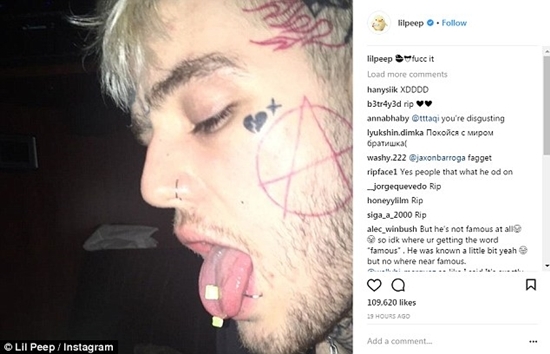 In an eerie twist, just hours before his death he shared an image on-stage with a caption reading: ‘When I die you’ll love me’ while also posting a shot in which he seemed to have placed two pills on his tongue. 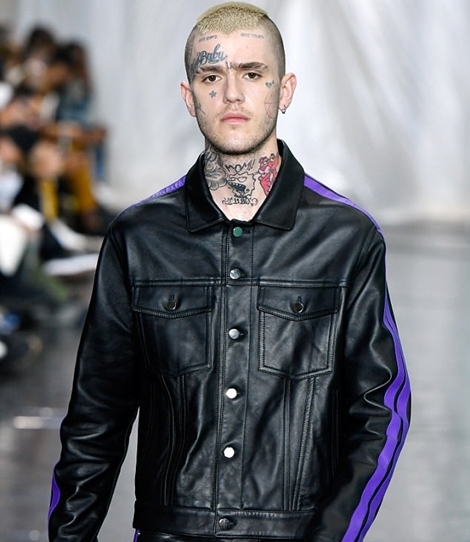 The New York-born artist’s former lover, Bella Thorne appeared heartbroken as she posted anInstagram story in which she mourned his sudden passing while his manager, Chase Ortega wrote: ‘I’ve been expecting this call for a year. Mother f***’.  According to UPROXX and various news sites, those close to the rapper believe he died from a drug overdose hours before he was due to perform a show in Arizona. Tributes flooded in, including one from rapper, Post Malone, who penned on Twitter: ‘In the short time that i knew you, you were a great friend to me and a great person. your music changed the world and it’ll never be the same. i love you bud. forever’.